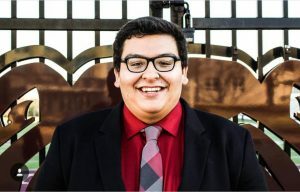 My name is Isaiah Villarreal and I am a senior, Human Resource Management major originally from Texas. I have been involved with a various amount of student organizations including Student Activities Council, Student Government Association, University Ambassadors, Greek Week Committee, and am a founding father and past chapter President for my fraternity , Sigma Tau Gamma. First generation students, are increasing in higher education than ever before. When someone says that they are a first generation student, it means that they are the first to attend college. Its a very pivotal point for both parents and students but I also see it as an opportunity to show them the wonders that college has and how easy it is to get connected with professional jobs across the nation, and get connect with other students and develop a pride for your institution. There is a TON of resources for first gen students and Missouri State really does an amazing job at recognizing how important this milestone is in a student’s life. As a first gen student I faced a lot of obstacles when transitioning to college but my biggest was time management and finding healthy study habits. I came from a small school in Arkansas where I graduated with 21 students and really never had to learn “the right way to study.” Transiting into college was an obstacle. I wanted to get really involved which helped me with time management. I will say ALL students should have a planner as it will be your life! When it came to studying, I found that it was easier for me to study in a group and have others build me up. It will take time for students to transition into college but finding what helps you will give you the greatest success down the road. MSU provides a TON of resources for first generation students. First, you can get into a GEP class that is full of first generation students which gives you the opportunity of connecting with other students who are like yourself. We also have an organization that’s called MSU: I’m First which helps students with all types of things like FAFSA, Financial Aid, Time Management, getting good grades, etc. This is a great resource and I highly encourage all First Generation Students to get involved with. Getting involved will not only help you get connected to Missouri State but will help you in your professional life and in academia. Find what you are passionate about and get plugged into the University. With close to 400 student organizations the possibilities are endless. I also encourage students to try new things. When I first came to campus I wanted to try event programming and I knew I had no background in it but I wanted to give it a try so I joined Student Activities Council and quickly fell in love with the organization and what it stood for. If there isn’t an organization on campus that really interests you then start your own. Missouri State makes it easy to leave your mark here on campus! My biggest advice for First Generation Students is to make sure you take time for yourself. You will be presented with a lot of information and will get overloaded on the first week of classes. Keeping up with yourself and your mental health is very important. Take five minutes from studying and go walk around on campus, get a drink from Starbucks, or take a quick nap. This will not only help your health but it will help with retaining information in your classes. When I started college, I wished my family knew more about New Student and Family programs and how to not only support me but get involved with the University. Priscilla, Assistant Director of Parent and Family Programs, is a great point of contact for family members and puts on a lot of amazing programs that gets family memberes connected to their students education and involved with the campus. I think more involvement with my mom would have been amazing and I know she would’ve enjoyed learning more about Missouri State. My favorite tradition on campus is Bear Bash because all the new students have the opportunity of getting so much free stuff and it really just shows how amazing our university is. It is an awesome time seeing new students having fun with one another and being all in the same place as bears! All the memories that are made, high volume spirit, and love for the bears is unbelievable. I cannot wait to welcome all the new students to BEAR BASH!!! !